Our family has been in the auction business since 1986 and has carried forward the tradition of integrity, innovation and outstanding service. Sellers appreciate our innovative marketing programs that combine advertising, direct mail, outbound calling, the Internet and other media to reach potential buyers and turn them into winning bidders on auction day. 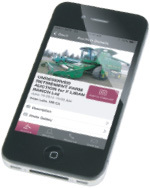 Buyers know they can rely on Lippard Auctioneers to provide timely information needed to evaluate a purchase. This information may be viewed from this web-site. 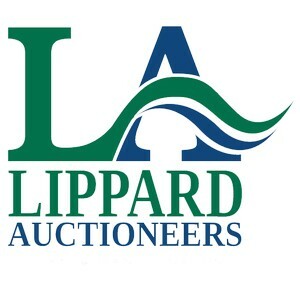 Today, Lippard Auctioneers sells property throughout Oklahoma, Colorado, Kansas, Arkansas, Missouri, New Mexico, Nebraska and Texas, as well as abroad, and the auctioneers has sold more than one billion dollars of real estate. With our talented staff of auctioneers, real estate professionals, communications experts and project managers, we are uniquely equipped to handle any type of auction in today’s marketplace. As one of Oklahoma’s leading auction companies we provide complete service for your auction from start to finish. The success and satisfaction of both seller and buyer are our primary concern. We do not wait for buyers to come to you. We aggressively go to them, wherever they are – via the Internet, direct mail, national advertising and other media. Our proprietary database of extensive prospects is the envy of the industry. Troy D. Lippard, CAI, President of Lippard Auctioneers, Inc. is a graduate of Missouri Auction School in 1988, and a graduate of Indiana University, Bloomington, Illinois acquiring a CAI designation (certified Auctioneers Institute) in real estate, a graduate of Lincoln Appraisal school holding a Master Farm & Land Appraisers designation and also a graduate of the Thompson Advertising school in Kansas City, Kansas in 1992. Troy was inducted into Oklahoma State Auctioneers Hall of Fame for 2010. He has held positions on several boards including: board of director, President, Chairman of the board for the Oklahoma State Auctioneers Association, board of director for the American Businessman Club, Enid, Oklahoma. He is the 1999 Oklahoma State Champion Auctioneer, a 5- time finalist in the International Auctioneers Championship Contest and a 3- time finalist in the All World Auctioneers Championship Contest held in Canada. Troy started in the auction business from the ground floor position including: clerking, cashiering, working as a ring-person, bid-calling and finally the managing end of the business. He is also an associate with Great Southwest Auction Company in Houston, Texas selling Millions of dollars a year in oil and gas minerals. Troy currently works across the United States for other auction companies selling aviation, real estate, equipment, etc. Many of our associates hold an auction license in Oklahoma, Kansas, Texas, Nebraska and Colorado and hold a real estate broker or associates licenses in Oklahoma, Colorado, Missouri, Arkansas, Kansas and Nebraska. Many of our associates are members of the National Auctioneers Association, Oklahoma State Auctioneers Association, Colorado Auctioneers Association and Realtor Land Institute.